It’s already Thanksgiving, and as the year draws to a close, so do many gardening and lawn care projects. Use this timely guide to prepare your outdoor, green living space for winter. By completing the projects on this list, you’re outdoor living space will be prepared for winter dormancy and will have a more natural spring green-up. Just because brutally hot temperatures are over doesn’t mean your plants and trees don’t need a drink. Continue to water all of your plants, especially your trees. Their roots need sufficient moisture to make it through the upcoming dormant months of winter. In the mid-Atlantic, November is usually the “last call” for perennials. If your grounds aren’t frozen shop for and plant spring-flowering blubs and perennials such as: Crocuses, Daffodils, Tulips and Hyacinths as soon as possible. Pest tip: If you have outdoor pest control or rodent control issues purchase pest-resistant bulbs such as: Daffodils, Siberian squill and Fritillaria. You can also get an early touch of spring by planting your bulbs indoor in January and February. 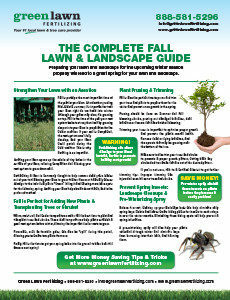 Experts say, pruning your trees and shrubs is best saved for the latter months as winter is right around the corner. If your grounds aren’t frozen yet, you may still have time to plant some shrubs and evergreens. Late in November is a great time to use paper tree wrap around the base and trunks of saplings and other tender trees and shrubs to protect them from the drastic temperature changes. 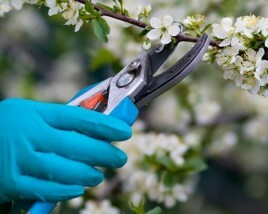 Be sure your roses, raspberries and vines are securely staked as mother nature can be quite destructive in the winter months to top-heavy plants. 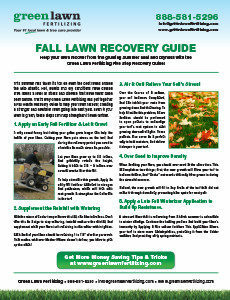 At this point, you should have received your final fall and winter fertilizing applications. If you haven’t done this, make sure you contact your local lawn care provider to make certain you are on the schedule by December. Maybe the most vital on the list. 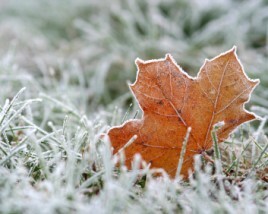 You’ll want to be certain your tender plants and trees, pipes, planters and tools are ready for the cold winter months. Start insulating your outdoor water supply so that indoor pipes don’t freeze or – you really don’t wish for this to happen – burst. When your outdoor grounds freeze 1 to 2 inches deep, some experts say to mound straw and bark around exposed roots and plant bases. Help yourself out and lighten your load in the spring by turning over the soil in vegetable beds now. After leaves drop, a helping of dormant spray will help protect them from diseases and insects. You’ll want to give them a second dose in December and final one in February. The need to weed continues, even at the turn of winter. It may not seem right, but you’ll be doing yourself a favor come spring time. If you don’t deal with them now, they’ll be happy hosts to lawn care diseases and insects in the future. These winter tips should help you get through the cool months and help prepare for an effortless, spring green-up!